A style with some old world influences, the KEEN Alman sandal is made for the modern man. 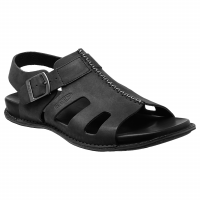 This classic sandal has comfortable full-grain leather uppers and a supple leather footbed. Topstitch details and clean finish result in a sophisticated men's sandal. 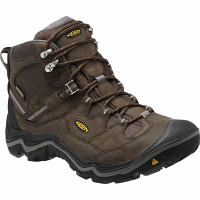 All-season, all-occasion versatility sets the KEEN Anchorage III WP boot apart. Nubuck leather looks good with jeans or slacks, while waterproofing, insulation and a snow-friendly sole make it ideal for winter wear. With the KEEN Dauntless Ankle, mixed textures and contrasting colors define a versatile open-toe sandal, finished with a comfortable cork footbed. 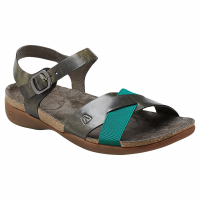 A pop of color and rich textures make the KEEN Dauntless Posted sandals stand out. Stretchy straps and a cushy footbed make them feel fantastic, too. 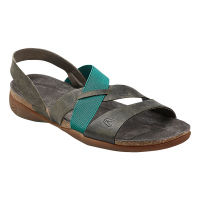 The KEEN Dauntless Strappy is a full-grain leather sandal that features a contrasting elastic strap to keep the fit secure. 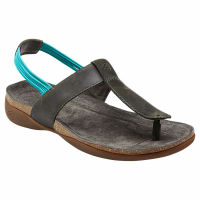 Leather covers the footbed, made of a cushy cork blend. 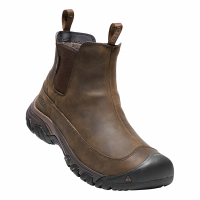 The KEEN Elsa Boot WP is a boot that will have you welcoming cold weather. 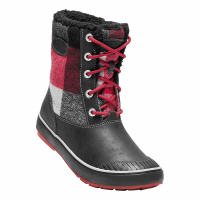 A warm fleece collar and underfoot insulation amp up the cozy factor and will keep your feet warm. Add traction for slick sidewalks and you're set for the season. 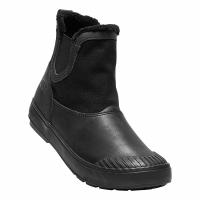 The KEEN Elsa Chelsea WP is part cold-weather protection and part style statement, with a super soft lining that ups the comfort level. The fresh mix of textures makes this ankle boot inside-appropriate, too. Need some air? 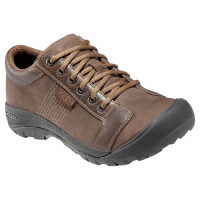 The KEEN GHI Lace Perf Suede is a perforated suede and mesh sneaker that is ultra breathable. 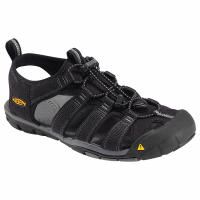 An eco-friendly treatment absorbs odor-causing bacteria, and the vulcanized construction flexes with every step.